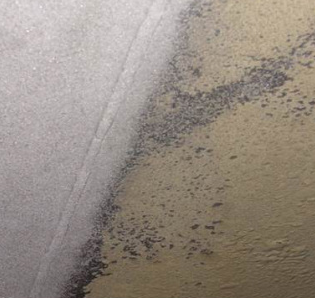 Sponge-Jet’s low dust, low rebound, recyclable abrasive blasting technology is widely used to increase the serviceable life of assets while reducing the impact that conventional abrasive blasting typically has on the environment and the public. Sponge Jet can be used on a variety of assets, including tanks, vessels, piping and walls. Elite has qualified coaters to protect any of your assets. Our products can protect any ferrous and non-ferrous surfaces. Together with our sponge jet services and coating repairs, Elite can complete the project from start to finish. Elite Pipeline Services offers superior internal pipe blasting by using a Robotic and Mini Blaster system. This gives us the capability of internally blasting pipes from 16” (40.64 cm) up to 27’ (8.2 m) in diameter at 150 sq. ft. per hour to a near white metal finish. The media used is a polyurethane foam with aluminum oxide impregnated into the foam. This acts as a micro containment for dust particles thereby reducing dust by 90%. This media can be reused 6-15 times depending on the grit.